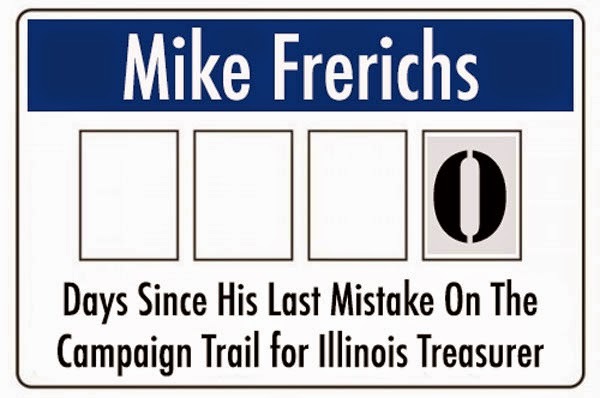 Mike Frerichs and his campaign team can't be happy this morning as they had to reset the 'Days Since Mike Frerichs and his team made a mistake out on the campaign trail' this morning down in Champaign. The mistake - as it usually does - involves social media. This time, on Twitter. Too bad. That big ZERO staring at them this morning at Frerichs Campaign HQ isn't all that heartening to a campaign in the final weeks. 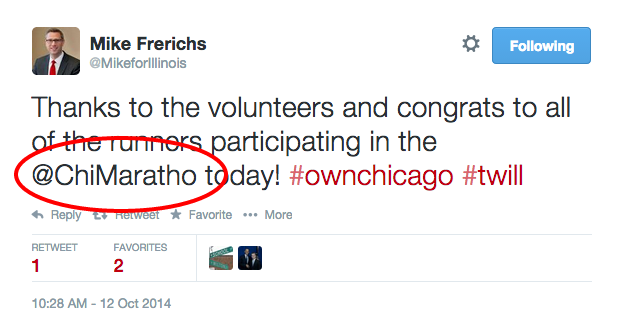 In fact, people are starting to bet on the over/under for "Frerichs Mistakes" during the final 21 days. The line hasn't been set, but plenty of money will be set on the 'over'. Stay tuned for details.